The shipment of our quality products is carried out conscientiously, quickly and safely. So your shipment arrives without prejudice to you, we use EU certified boxes and environmentally friendly filling material. You are automatically informed of the status of your order and receive a tracking number. So you always know where your parcel is currently located. We ship to United Kingdom, Great Britain, in all EU states, Switzerland, Norway, Germany and world wide. 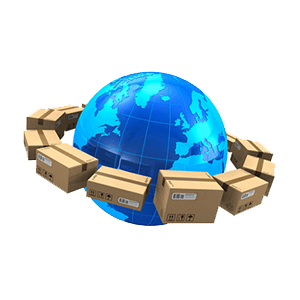 The shipping costs in many countries vary greatly. Please use our shipping calculator if you have placed items in the shopping cart. We ship our goods usually by the parcel service DHL. You will receive a tracking code. Your package will be delivered also on a Saturday. The delivery to your desired neighbor, your desired DHL post office and to your DHL packing station is possible. Our products with respect to a rule 5 – delivered 10 days after the payment. The delivery from Germany usually takes 5 – 10 working days. If under exceptional circumstances – for example, by delays in our suppliers or in case of non availability – be no delivery within 3 weeks after receipt, we shall inform the customer. Hey Buddy!, I found this information for you: "Shipping". Here is the website link: https://vitallusplus.net/shipping. Thank you.